As a WooCommerce business owner, providing the best customer experience is always the top priority. Shipping and packaging are often overlooked in this aspect. 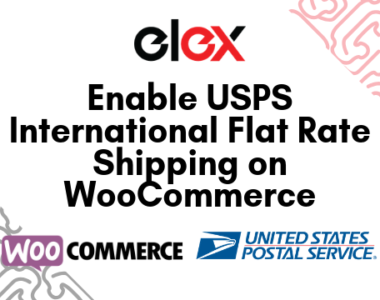 A step in the right direction for this purpose would be to choose FedEx for your WooCommerce store shipping. 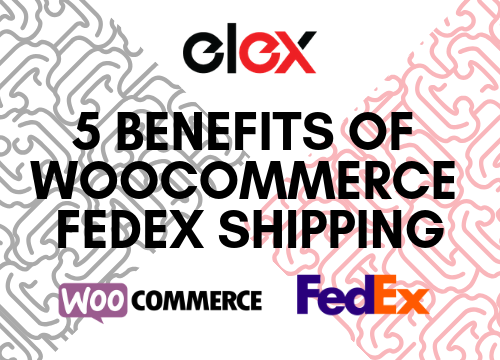 Let’s take a look at some of the benefits of WooCommerce FedEx shipping and how the ELEX EasyPost (FedEx, UPS & USPS) Shipping Method Plugin can help in integrating FedEx. Why Use WooCommerce FedEx Shipping? Improving operational efficiency while cutting down costs is a sure fire way to increase your profits. Outsourcing shipping is an often overlooked method to achieve this. Letting experts handle the shipping lets you focus on other aspects of business development. Apart from these, the plugin lets you handle all your shipping, packaging and shipping returns with ease. 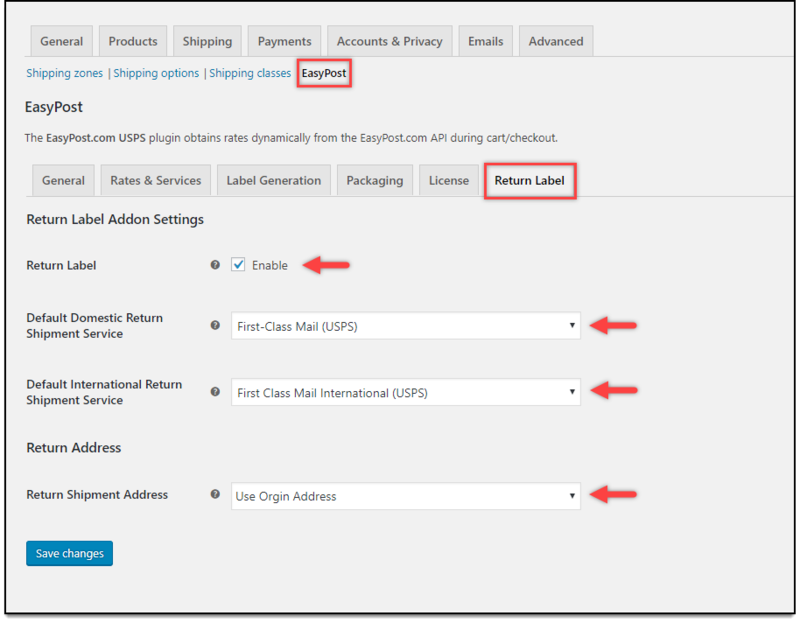 Moreover, you can setup Default domestic and international shipping addresses. This increases your efficiency and saves your money. Shipping orders manually, by yourself, is a tough task. It involves several steps that have to be followed and requires a lot of effort and time. Moreover, conveying tracking details and estimated shipping is a thing almost every online shopper is accustomed to. Offering WooCommerce FedEx shipping with these features is definitely going to enrich the customer experience. 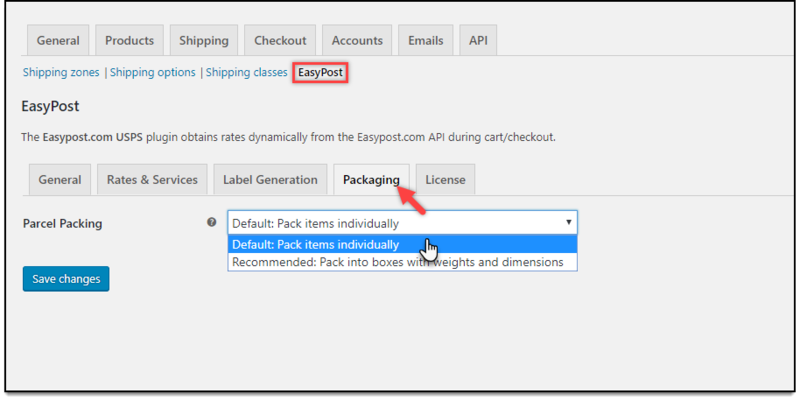 Whenever a customer visits your store, adds products to their cart, ELEX EasyPost (FedEx, UPS & USPS) Shipping Method Plugin sends an API request to the EasyPost servers. Depending on where it’s being shipped, the customer is shown Live Shipping Rates. This lets them choose a shipping option based on shipping cost. In a similar manner, during checkout, the plugin displays the estimated arrival dates as well as live rates under every shipping option. 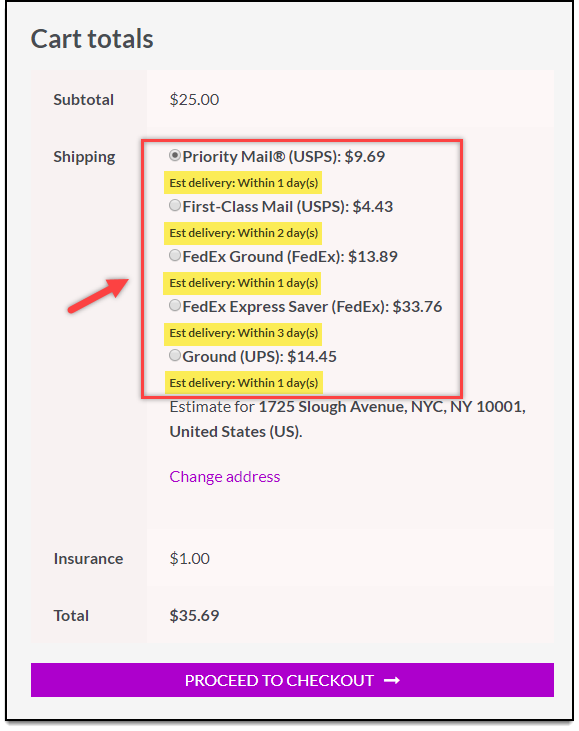 This lets customers choose the shipping method based on when they need the items delivered. Increasing market reach for traditional businesses has always been very difficult. Establishing infrastructure, shipping routes, training personnel are some of the many hurdles in the way. As a WooCommerce business, you can overcome these hurdles very easily by integrating WooCommerce FedEx Shipping. It has the infrastructure, trained personnel, delivery routes and logistics necessary for penetrating new markets. If you are a WooCommerce store that offers products that are fragile or dangerous or edible, chances are you are already familiar with the troubles in shipping these items. FedEx ensures that they use the right material to safely pack and handle your fragile goods so your products reach intact. The fact that you can provide insurance for FedEx through EasyPost ensures that your fragile goods are covered in the event of an accident. Shipping Destination-Filter by Country, Destination and Zip Code. Hide WooCommerce Shipping Methods – Common Business Cases. FedEx is known for offering an extremely comprehensive range of packaging solutions for all dimensions and weights. The price of the packaging includes material and labor costs. Moreover, FedEx accommodates packaging for items that cannot be packaged properly. For items that need customized packaging, you can always avail the help of FedEx experts. Package items by their weight. Individually package each item in its own box. Package items using box packing algorithms that will stack the items in the order in one big box. 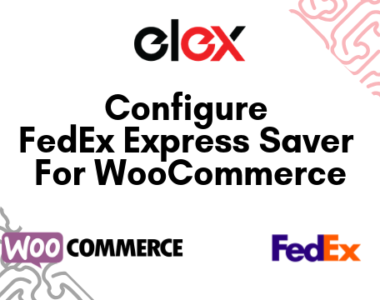 In summary, WooCommerce FedEx Shipping can help you improve very important aspects of your online store, ELEX EasyPost (FedEx, UPS & USPS) Shipping Method Plugin is a seamless solution for your FedEx shipping needs. While WooCommerce can help you configure basic shipping zones and methods, it lacks the support for configuring third-party shipping methods. 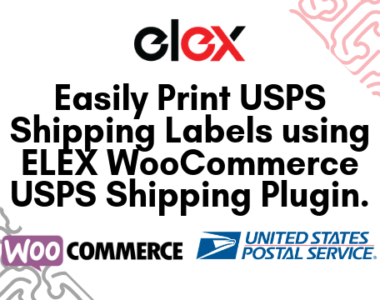 Moreover, with this plugin, you can add not only FedEx but USPS and UPS shipping methods as well. You can download a free version with limited features to test it out.